Jury Bias: Are jurors influenced by what they wish to believe? Are jurors influenced by what they wish to believe? The preeminent social psychologist, Lee Ross, and his colleagues conducted an interesting experiment, recently published in Psychological Science, demonstrating that the evaluation of scientific evidence is shaped more by what a person desires to be true than what they initially believed to be true. The study recruited subjects who believed that child home care was superior to day care. Half of the subject were conflicted about the issue and indicated that they intended to use day care for their children. The subjects were motivated to believe that day care was as good as home care. The un-conflicted group indicated that they intended to use only home care. The subjects were given two fictional studies. Half the subjects were led to believe study 1 favored day care and study 2 home care; the other half of the subjects were led to believe the opposite for studies 1 and 2. After reading the studies, the subjects evaluated which of the two studies provided more valid conclusions, listed the strengths and weaknesses and evaluated the persuasiveness of each study. The subjects’ last task was to evaluate which form of childcare would have a better effect on child development. The results of the study dramatically showed subjects were more persuaded by scientific evidence that confirmed what they wished to be true than what they initially believed to be true. Subjects who initially indicated that they intended to send their children to day care, even though they believed home care to be superior, were unconsciously motivated to favor scientific evidence that was consistent with their desire to believe day care would not adversely affect their children. When these subjects were exposed to two studies reaching opposite conclusions, they shifted their belief from their initial position and concluded that home care was no better than day care. The un-conflicted subjects, those who intended to use home care, maintained their strong initial belief that home care was superior. The un-conflicted subject did not alter their initial belief even though they were exposed to a scientific study that was inconsistent with their belief and instead favored the study that confirmed their belief. 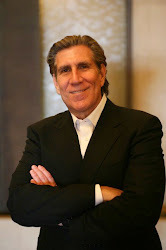 The Ross study is important for trial lawyers, and corroborates the Jury Bias Model, that despite the evidence, jurors search for evidence during trial that favors their beliefs and, perhaps, what they need to believe. Jurors typically face conflicting evidence at trial. Jurors likely will favor that evidence that confirms beliefs and what they wish to believe even in the face of scientific evidence to the contrary. The quality and persuasiveness of the scientific evidence is filtered through the jurors’ wishful thinking rather than an objective evaluation of the merits of the science. Knowing what jurors need to believe is essential. The implicit assumption of the civil justice system is that jurors objectively weigh the evidence, are free from bias, and that the best science applied to the facts determines who wins and loses. This assumption is contrary to decision-making science. We are, after all, naive realist and believe that we perceive things as they really are. See, Ross, L., & Ward, A. (1996). Naive realism in everyday life: Implications for social conflict and misunderstanding. In T. Brown, E. S. Reed, & E. Turiel (Eds. ), Values and knowledge. The Jean Piaget Symposium Series (pp. 103–135). Hillsdale, NJ: Erlbaum. Naively, we expect other reasonable people to see things as we do if exposed to the same information. Trial lawyers may believe, all too willingly, that jurors will perceive the evidence in the same way they do; after all, trial lawyers fall prey to the same naïve realism that all people do and believe they perceive the evidence as it really is. Trial lawyers are not immune for this bias blind spot simply because of their professional training. People do not readily recognize their own biases. Trial lawyers are no exception. 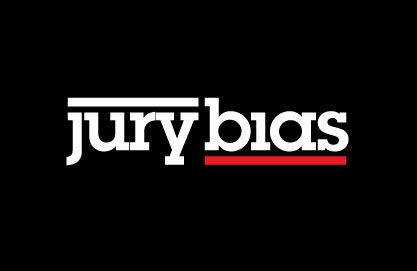 Often in evaluating their cases trial lawyers fail to recognize how their biases affect their judgment and juror bias affects juror judgment. Trial lawyers must become behavioral realists and litigate their cases understanding how jurors actually evaluate evidence rather than how they wish jurors would evaluate the evidence. The implication is that we must build our case from the bottom-up, starting with what the jurors must believe for plaintiff to win, rather than from the top-down, what trial lawyers and their experts believe the evidence really shows! Once we know what jurors must believe, then, and only then, can we know how to build the case consistent with juror beliefs and wishes. Jurors should not be required to change how they perceive the world as a prerequisite to winning. Not only do trial lawyers contend with beliefs and wishes that have developed through the jurors unique life experience, now they must contend with anti-plaintiff beliefs that have resulted from politically motivated campaigns to instill an anti-plaintiff bias. In litigation, the trial lawyers must identify the most common case specific event schemas and anti-plaintiff bias schemas. Both tasks are essential to success in civil litigation in today’s environment. Ignoring what we now know about human behavior and how jurors process information is simply inexcusable. In a dram shop case, for instance, what particular event schemas are important? What safety precautions do people believe a bar should institute to prevent a customer from becoming intoxicated and killing or maiming someone as a consequence? People have unconscious maps about how a bar operates and what is a reasonable to protect the public. It matters little what the experts and research shows if it is incongruent with event schema driven beliefs. Once the juror beliefs are identified then the task of discovering the science that confirms those event schemas or unconscious maps can begin. Jurors will resist evidence inconsistent with their unconscious maps, as the Ross study demonstrates. One common event schema operating in this dram shop cases, is that the person who drinks is in the best position to protect against the harm resulting from his drinking. Jurors reflexively find it unfair to ask a business to protect someone from himself. Another common event schema that often arises in this context, is that people who know alcoholics or heavy drinkers have unconscious maps about how these people behave. One legal issue in these cases is proving the level of intoxication at the time wreck was the result of the alcohol ingested at the bar. The time between the drunk leaving the bar and the wreck is critical to decision making. People with experience with alcoholics have maps about how these people behave such as "oh he probably stopped somewhere after leaving the bar and bought six pack" or "these people always keep liquor in the car and he must have been drinking in his car after left the bar”. Such maps serve to excuse the conduct of the bar. If you identify these unconscious maps then demonstrating there was no time to stop for liquor and that the police did not find liquor in the car at the time of the wreck is easily addressed during discovery. Seemingly minor issues like these, left unaddressed at trial, can have devastating consequences. Knowing the unconscious maps at work and who your jurors are can prevent a misstep like this. Another goal is to discover the impact of the anti-plaintiff bias. Do the facts elicit suspicion about the plaintiff? Did the plaintiff act like the tort reformer's prototypical plaintiff that was the exemplar for the anti-plaintiff bias? Do people feel victimized by specific lawsuits like these? In other words, is the public more concerned about lawsuits personal impact than in a just result? Have you presented a case so complex, that people find it is easier to conclude that stuff happens rather than struggle to understand the facts? Finally, do people believe that if the plaintiff had been personally responsible, the harm would have been avoided? People disfavor protecting people from themselves. If the plaintiff had the ability to prevent the injury he better have a great explanation why failed to do so. Building the case from the bottom up means discovering at the earliest opportunity what unconscious maps people use to evaluate the conduct of the defendant and the plaintiff. People believe and need to believe they live in a safe world. People need to believe, for instance, that their hospitals are safe. If we frame the case to prove hospitals are unsafe the plaintiff will encounter the same result Ross and his colleagues found in their research. Jurors will perceive the science and expert testimony to be congruent with their wish to believe their hospitals are safe. Telling jurors that 98,000 people die every year in hospitals from preventable errors or that hospital negligence is the 4th leading cause of death will not persuade jurors that malpractice is a common occurrence or that it is more likely that plaintiff was one of the 98,000. Jurors, like everyone else, are loss averse. People do not want to lose what they already have. People feel safe and need to believe they are safe. Instilling fear in jurors is not the answer, as some might suggest. The answer is to accept that we all need to feel safe and protected, as Mandell and others suggest, and to utilize that belief in framing the case. For full discussion of framing the safety issue at trial I invite you to attend the Jury Bias Litigation Group Trial Advocacy Tract at the AAJ convention in New York this summer. For this reason it is risky to allow jurors with personally relevant experience to sit. One cannot know what event schemas these people unconsciously hold. If you bet wrong these jurors can infect the other jurors with their personal event schemas and the trial lawyer cannot possibly predict the effect on deliberation. When in doubt, kick them out! Great article, David. Thanks for your detailed research on how people think and decide. This is a help to anyone stepping foot into a courtroom. Nice read. Medical malpractice law is complex and therefore it is important to engage an experienced malpractice lawyer or attorney who understands the complex issues that apply. I salute the judgment of some jurors. I am pretty sure that all of the pressure is bestowed upon them. I'm not a judge, but I am sure that these jurors consider different factors before making decisions. I really thankful to the author of this post, That's truly different read for me, Keep sharing more about it, Good luck!!! Each and every industry connected with advocacy provides exclusive law firms coping with this. Properly, compensation for injuries is an car injury lawyers issue that sometimes happens as well as occur to anyone on virtually any place connected with life. Well, juries have played a significant role in the determination of issues that could not be managed via 'general social interactions' or ones which required punitive measures, retribution and/or compensation. There are online jury research program from many legal service provider. The role of jurors and juries however, has changed over the centuries and have generally been moulded by social and cultural forces embedded in the wider communities in which they have evolved. Very good blog, Even Magna Legal Services in Philadelphia, Delaware & New York is one of the nations leading jury consulting firms & specializes in Online Jury Research Program.One can Get complete litigation support & transcription services at affordable prices.Thanks! Implementing and evaluating cases lawyers may trail sometime. after finishing the trial period they are achieve the quality to move on court to act as a lawyer. for a new injury lawyer achieving loyalty is very difficult.